Who will suffer most if things go wrong with nuclear power? Dean Kyne answers the question with a first-of-its-kind dissertation on nuclear risks from an environmental justice perspective. In his study of 104 nuclear reactors located in 65 nuclear power plant sites nationwide, he studied the host communities within a 50-mile radius from a nuclear power plant. He searched for any particular group which disproportionately shoulders the burdens of potential risks associated with nuclear energy, including disparities in socio-economic characteristics and minority population groups. The study also assessed the nuclear power plant potential risk index and its effect on downwind populations. Kyne focused in particular on a simulated meltdown of the Palo Verde Nuclear Generating Station near Tonopah, Ariz. Palo Verde is the largest power producer in the United States and the only nuclear plant in the world that is not located near a large body of water, which is used for cooling purposes in the event of a meltdown. Public policy and justice have been particular areas of study for Kyne, but a couple of incidents sparked his interest in the effects of nuclear energy production in particular. While Kyne studied for a master’s degree in public policy at Pennsylvania State University in 2007, he read a news article about a security guard at the Three Mile Island nuclear power plant that was so absorbed in a video game that he did not see an inspector approach. The incident followed other reports of employee inattention. Kyne realized that he and his family were living a few miles from Three Mile Island, the 1979 site of the largest nuclear accident in the United States, when a reactor suffered a partial meltdown. When his wife developed a thyroid condition during her second pregnancy, he asked their physician if living that close to a nuclear facility was a possible cause. “The doctor told me that no study or research had been done that could give me a conclusive answer,” says Kyne. This began a series of questions in Kyne’s mind. Are there dangers in living very close to a nuclear energy plant? In the event of an accident, who would be affected in the nearby community? What was the demographic make-up of the surrounding population? An accomplished scholar, Kyne already has several graduate degrees. 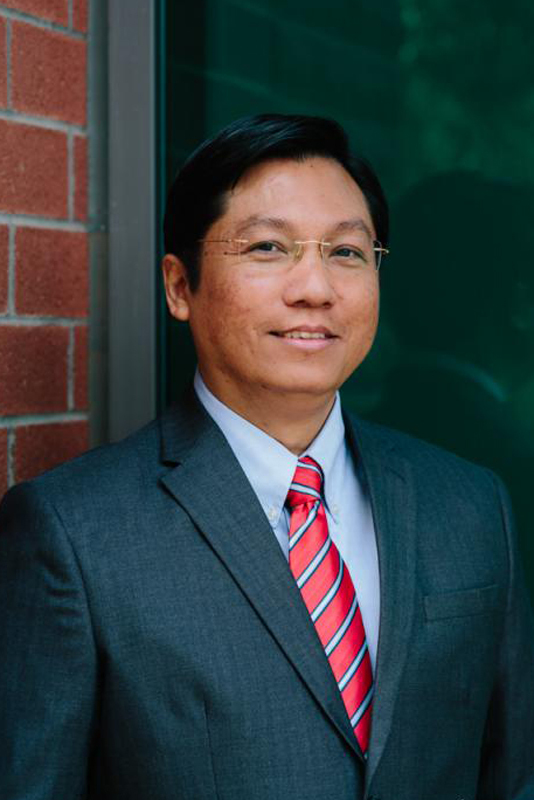 He earned a master’s in business management from the University of the Thai Chamber of Commerce, as well as a doctorate in development administration from the National Institute of Development Administration, both in Thailand. In the United States, he has received a master’s in public policy at Pennsylvania State University, and a master’s in environmental policy at Cornell University in New York. When Kyne asked his advisor at Cornell how best to continue studying his interest in environmental justice as it related to nuclear energy, he was told to go to ASU because they would have the experts that he needed for his doctorate. “Indeed, I have found renowned expertise at ASU in my research of environmental justice and vulnerability in human-environmental relations,” says Kyne. Kyne plunged into doctoral studies in fall 2010 with his advisor, Bob Bolin, a professor in the School of Human Evolution and Social Change and director of the doctoral program in environmental social science. He also earned a Geographic Information Systems (GIS) graduate certificate in 2012 to provide additional skills for his studies. Kyne also undertook a two-day training at the Nuclear Regulatory Commission (NRC) to better understand the software that projects atmospheric releases from nuclear power plants and interprets other data during an accident. “We are all living with invisible risks,” says Kyne. His Palo Verde simulated meltdown concluded that more than half of Arizona’s population could be affected, depending on such variables as wind speed, time of year, and weather conditions. A 10 mile-per-hour wind, for example, could carry the radioactive plume 50 miles into the heart of Phoenix within five hours. Kyne completed his doctorate in three-and-a-half years while working full-time and spending time with his wife and two sons, six and seven years old. “It was a challenge to balance time between work, study, and family,” he says. His employment has included working as a graduate research associate, a research/data analyst, and he is currently employed as a data analyst with ASU Online Administration. For the future, he would like the opportunity to teach as well as conduct research at a university, state or federal agency, or a research center. Update as of August 2015: Kyne worked as Director of Research and Evaluation in Maricopa County Government soon after graduation. He recently was appointed assistant professor of environmental sociology at the University of Texas-Rio Grande Valley, Edinburg Campus and will begin teaching in the fall of 2015.